A vicious dog can inflict serious damage on an individual. In addition to the physical harm and recuperation, a victim of a dog attack will likely face medical bills, property damage, lost wages, and other losses. If your or a loved one was the victim of a dog attack, look for personal injury lawyers in Tracy who have experience with these types of cases. Your personal injury lawyer can help you understand the applicable California laws. Your attorney may also file a claim on your behalf to help you recover compensation for your losses. California has a strict liability statute regarding dog bite cases. This statute can be found under California Civil Code section 3342. Strict liability is essentially a zero tolerance policy toward dog attacks. This means that an owner may be held liable for bites regardless of the dog’s prior history. Even if the dog is not known to be dangerous and has never bitten anyone else, the owner may accountable for your losses. This is in contrast to other states with a “one bite” rule, which only hold the owner liable if the dog was previously known to attack or otherwise exhibit dangerous behavior. Your injury lawyer may file a claim against the owner on the basis of negligence. Dog owners are required to take reasonable actions to prevent their dogs from attacking others . For example, a lawyer could argue that an owner is negligent for failing to confine the dog within the home or yard, or for failing to use a leash when walking the dog. There are a few exceptions to holding an owner liable for a dog attack. Your injury lawyer will evaluate the specifics of your case to determine if it may fall under one of these exceptions. For example, you may not hold the owner liable if the dog was being used by the police, military, or other government agency during an investigation. If you are considered an unlawful trespasser onto a dog owner’s property, you may not hold that person liable for an attack. Additionally, the dog owner may claim that he or she forewarned you about the potential dangers of interacting with the dog. If you did so despite these warnings, you may not be able to hold the owner liable for your injuries. What Is a Personal Injury Trial Like? After suffering an injury because of the negligence of another person, it’s a good idea to consult personal injury lawyers in Tracy. Your personal injury lawyer will deal directly with the other party and his or her insurance company. Your attorney will also guide you through the trial process , which involves the examination of evidence that links the other party’s negligent actions to your injuries. Your injury lawyer may call expert witnesses to the stand and he or she will argue that you deserve compensation for your injuries. You can hear more about the process of obtaining a jury award by watching this video. This expert also discusses how a settlement agreement may be reached, either before the trial or during it. Many people delay creating important documents about their healthcare and finances because it’s commonly believed that only senior citizens need these documents. In fact, every adult should consult a lawyer in Tracy regarding documents such as a will, living will, and power of attorney. An accident can happen at any time and may leave you incapable of making your wishes known. By working with a lawyer who has expertise in estate planning, you can ensure that your loved ones will carry out your wishes. If you pass away without a will, the courts will determine how your property is to be distributed and who will gain custody of your minor children. Bring a list of your assets to your consultation with the lawyer. Your lawyer will create your last will and testament, distributing your property in accordance with your wishes. You may be as specific or as general as you would like. For example, you may wish to leave all of your property to your spouse. In the event that you survive your spouse, you can name your children or other individuals as secondary beneficiaries. Or, you may wish to leave specific items to specific people. Along with your will, it’s a good idea to create a letter of instruction . The letter of instruction will let your surviving loved ones know of your final wishes, such as your burial preferences. In your letter of instruction, you may also wish to leave important information that your loved ones will need, such as the locations and account numbers of all of your financial accounts. Your living will is a document that describes your healthcare preferences in the event that you are incapable of making decisions for yourself. For example, a living will might specify that you prefer to remain on life support or it may include a do not resuscitate (DNR) order. 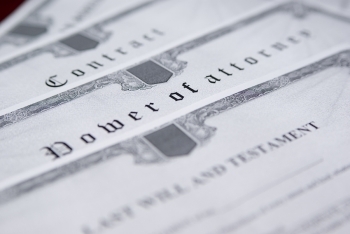 Your lawyer will draft the proper documents to designate your preferred durable power of attorney. This designates a particular person whom you trust to carry out actions regarding your finances in the event that you are incapable. Many people designate a healthcare proxy along with a financial proxy. Your healthcare proxy will make your healthcare decisions for you when you no longer can. Each year, millions of Americans suffer dog bite injuries. Dogs can inflict serious damage on a person. Even seemingly minor dog bites can have serious consequences such as infections. In addition to the medical issues involved, victims of dog bites can accrue significant expenses related to medical treatment and the replacement of damaged property, such as clothing and eyewear. 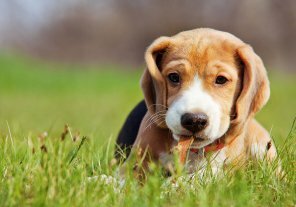 Personal injury lawyers in Tracy can help dog bite victims recover compensation for their losses. If you have been the victim of a dog attack, call a personal injury lawyer right away to learn which steps you should take next. After a dog attacks, the first step to take is to remove yourself from the vicinity to prevent it from attacking again. Avoid running away and screaming ; however, as this will only provoke the dog further. Do not make eye contact with the animal. Remain calm and back away. If possible, position an object between you and the dog, such as a bike or trash can. When the danger has passed, write down the full name and contact information of the dog’s owner. You might also ask if the dog is up-to-date on his or her shots. Additionally, obtain the names and contact information of any witnesses in the area. Your personal injury lawyer can use witness statements to substantiate your side of the story. Go to the hospital to have your injuries assessed and treated, even if you think they may not be severe. Dog bites carry a high risk of infection and the dog may have not received rabies vaccinations. Plus, if you decide to file a lawsuit, your injury lawyer can use your medical records to bolster your case. Over the next few days and weeks, make notes about any new symptoms or problems that arise. For example, you might find that you sprained your ankle trying to get away from the dog. After obtaining medical treatment, call your city or county animal control authorities to report the incident. Depending on the regulations for your particular municipality, the authorities may need to quarantine the dog. After calling the animal control authorities, get in touch with a veteran personal injury lawyer to discuss your legal rights and options.